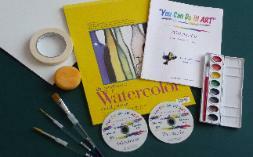 DVD Demonstration Beginning Watercolor Painting Lessons and Kits! What if I want to paint with a friend or in a group? your painting experience has been! one-of-a-kind watercolor paintings to frame! your own pace! Choose from kits below according to your needs. You can also Buy replacement painting supplies. and liner. 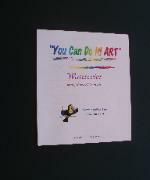 ( These items are in the original "You Can Do It! ART"
What if I only want the e-book? 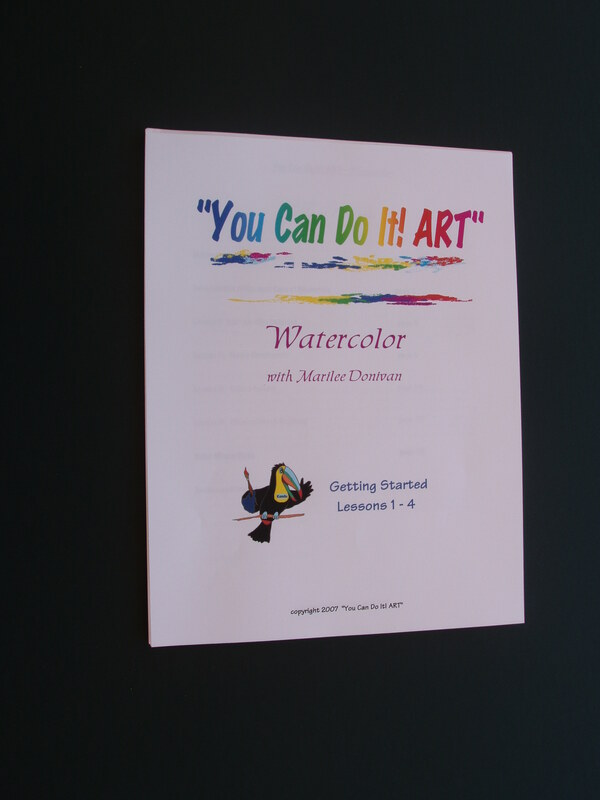 Instructional Book, "Getting Started", Lessons 1-4.
and want just the lessons? Mixing Colors, and Chinese Brush Painting. Includes color wheel clock. techniques! 29-page Ebook is included when you buy the DVDs ! reference), art sponge, and professional 140 lb. watercolor paper pad of 12 sheets. as shown in your first lesson. With the Watercolor Painting Kit, you are ready to go! The e-book download is included in your Deluxe Kit! additional painters in a household or friends who paint together!